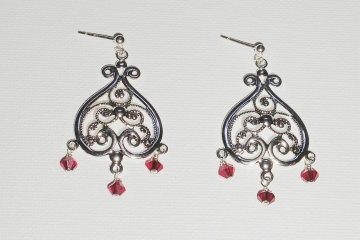 Look at these pretty red filigree earrings, and they are so easy to make! It's summertime and I want to spend more time outside than indoors making jewelry--but I always want new jewelry to wear, so what's a jewelry girl to do? 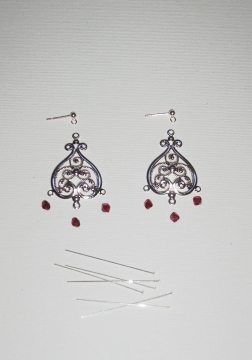 Make up some earrings super fast by using cast components! 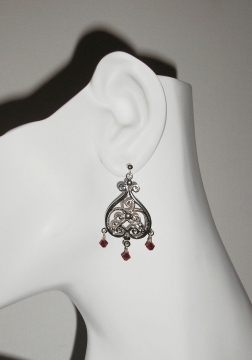 Take some filigree components, attach a couple of beads and you're ready to wear your new earrings in less than half an hour! String beads onto headpins. 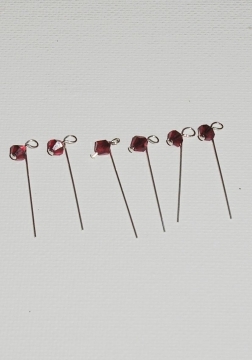 Using a basic loop technique, make a round loop at the top using your round nose pliers, and then attach the beads to your earring components. Attach the components to the bottom of your ear wires or posts using your pliers. That's it, your perfectly elegant earrings are ready to wear! 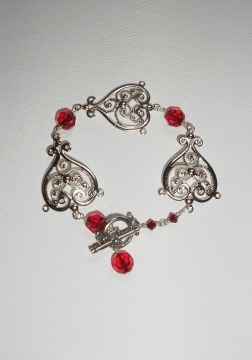 These earrings go great with the red filigree bracelet!